Real is not always pretty. But looking through certain eyes it is always beautiful. That was my discovery following an incident on May 25, 2008, when I fell nine feet while standing on the top of the "do not stand" step of a ladder, breaking my wrist in three places, one bone shattered in over 30 pieces, and five broken ribs. 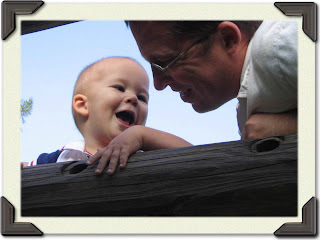 Minimal insurance left me with a huge financial burden, minimal capacity to work, and self-employed, no disability to provide for my wife and six children. Many have had it much worse, and it certainly could have been much worse, but this is my story. This all has to do with my transformed conception of "big." Like most, my conception of "big" had to do with external scale, with what may draw a crowd. Which of us do not want to DO or BE something "big" in this world? To do "big things" for the world? To that end, up to that point I contributed to some "big" endeavors... Disney, Walden, HBO, A&E, HBK Sorce, Kaiser Permanente, National Boy Scouts.... Each constituted a step up a certain big ladder. It was from that ladder I fell. So there I was, lying on the ground, wounded, humbled, radically dependant. It wasn't pretty, but the beauty came clear: a sense that "big" has more to do with what's inside one person than in what may draw a crowd, a belief that every person is a certain treasure waiting to be discovered, and that my life would be better or worse based upon my discovery of that treasure. So at the age of 40, I began looking again... but with different eyes... at my wife, each of my children, my extended family and friends... complete strangers. I began looking beyond my conceptions of "big" with a wonder of what lies below the surface. It came most clear at "Celebrate Erie 2008." Something compelled me to bring my camera. Something compelled me to "get in there" with people I'd never met before, to step outside my comfort zone. I was moved by wonder, a wonder of what makes others tick... beyond appearance, religion, race, politics, gender.... While not very profound, I discovered that below the surface we are all remarkably the same, and have a capacity for tremendous connection. It was an amazing awakening. The following days moved me to give up on my other conceptions of "big" and pursue the "big" that is our city's greatest treasure, the "real" treasure inside each individual person... and to share that with our city and the world. Of course, I'm also inviting local companies who capture this vision and opportunity, to help make it all possible, with the awareness that all who come will be touched, inspired by an expansive vision for "community," and that their support will be returned one-hundred fold. 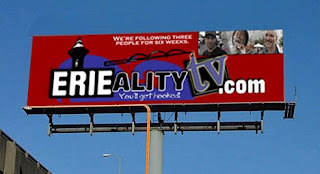 So ErieAlityTV.com was born. For six weeks we're going to follow three people, find out their hopes and dreams, their tragedies and triumphs... what makes them tick. This is something big. This is our journey. It's a huge leap for all of us, but I invite you to get on board. Let's see where the road takes us. Get registered. Stay tuned. Share your thoughts at the message board. 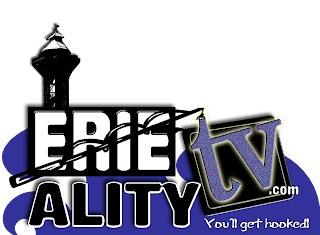 After reading this blog, are you going to share ErieAlityTV (this page or the site) with at least one other person within the next 24 hours?